"What Is NOT In Your Water Is Important to You and Your Family. With Mount Olympus, You Can Be Sure." "For centuries a clear mountain spring on Mount Olympus has flowed pure and sweet, low in total dissolved solids, high in oxygen, imparting a clean, crisp flavor. With beginnings as Mount Olympus Fruit and Livestock Farm Company, Mount Olympus was founded in 1898. Our spring and the mountain from which it comes has become your signature of quality assurance. Mount Olympus spring Water flows from protected source in the Federally-designated Mount Olympus Wilderness Area Mount Olympus is free of chlorine, cryptosporidium, giardia and pharmaceuticals. Our spring water is tested in our laboratory many times per hour to assure consistent quality and absolute safety." I called them to ask if they fluoridated their water and the answer was yes. I e-mailed them about this issue (see reply below). "Most recent, large-scale studies have found that fluoridated water provides only a minor benefit to teeth, or no demonstrable benefit at all. According to a recent Canadian government review: "The magnitude of fluoridation's effect is not large in absolute terms, is often not statistically significant and may not be of clinical significance." Moreover, according to the National Academy of Sciences, fluoride is not an essential nutrient. 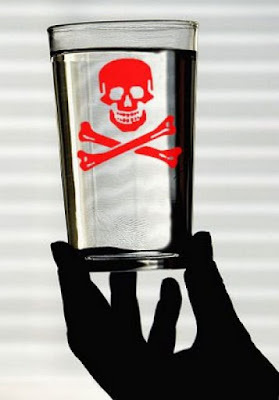 This means that no human disease - including tooth decay - will result from a "deficiency" of fluoride. Thus, unlike real nutrients like calcium and magnesium, the human body does not need fluoride for any physiological process." If this is true, then why do water company's and municipal water sources continue to put more fluoride than is naturally accruing in our water? Some people believe it's to dumb people down, literally. Still have doubts? Watch this video and your doubts about if fluoridation will be gone. One more to seal the deal. Open your eyes and your hears to attain your attainable mind. Thank you for showing interest in Mount Olympus products, you can rest assured that we do not add fluoride to our all natural spring water which is listed on the analytical as spring water bottle and source. We do however have a small number of customers that request a fluoridated water and feel more comfortable with a product that is manufactured in a very controlled environment and that is subjected to 3rd party audits. The bottles are clearly identified preventing unwanted products from being distributed to those customers not wanting fluoride additionally we only offer fluoridated water in 5 gallon home and office bottles and by request only. We do not offer fluoride in any other package and currently do not provide any fluoridated water to any retail outlets. It's amazing that people request fluoride in they water, they just don't know any better. That's the problem with government propaganda.